The cat sat on the front steps of my friend Sarah’s house – a fluffy ball of gray, brown and white stoicism. Turns out Rose had turned up on their doorstep awhile ago and had already been given the flowery moniker before a veterinary visit revealed she was a he. “Well, what’s his middle name?” I asked. Sarah is a dear friend. A good friend. But at that moment our friendship teetered perilously on the abyss, the words “just a cat,” echoing in my ears. She couldn’t have shocked me more if she said she’d suddenly become an introverted night owl. All of my cats have had middle names, unless you count Butterscotch, the ginger cat I had at age 3. My sister insists it was her cat, so the less we say about it the better. Also, Butterscotch came to a tragic end when my dad accidentally backed over her while on the way to work one morning. Samuel Kristian has had some experience with this. Anyway, my next cat was christened Nicholas James (Nicky) and was followed by Brandy Michael. Brandy shows what should happen when you give a cat a girl name and then find out it’s a boy. Our current cats are Milo James and Thor Hyerdahl. Imagine my surprise when my campaign to restore Rose Henry’s dignity was met with resistance by Sarah’s husband, Terry. His response to my suggested fix? Sarah thought Rose Henry sounded rather regal, but when her husband continued to balk, she offered a compromise – Rose Jack. Nevertheless, the social media response weighed solidly, almost unanimously in favor of giving cats first and middle names. “His name is Rose. Cat names are not gender specific. Also roses are not gender specific. Colleague Pia Hallenberg weighed in. Now that’s a great cat name. Alas, Terry has proved unyieldingly adamant in opposition to my attempts to bolster Rose Henry’s dignity. “Do not call my cat Rose Henry. That is not his name. His name is Rose. Just Rose,” he insists. Well, OK. I mean, it is his cat after all. I am quite pleased that at least he finally seems to understand the importance of middle names. However, I must confess I think Just is a rather bizarre first name for a cat. Contact Cindy Hval at dchval@juno.com. 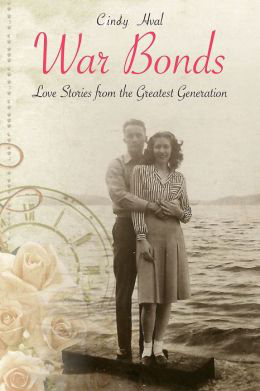 She is the author of “War Bonds: Love Stories From the Greatest Generation.” You can listen to her podcast “Life, Love and Raising Sons” at SpokaneTalksOnline.com.